The Delaware Art Museum starts their new exhibit of vintage photographs on Saturday, June 29. The works are from the collection of Michael Mattis and Judith Hochberg and curated by Heather Campbell Coyle. We were given a press tour by the enthusiastic Margaretta Frederick, who is chief curator for the museum. Her delight in the photographs and their history and the time in which they were made was infectious. When you walk in and see the works in the collection by Eugène Atget, you may have your doubts about their artistic value. Some are dark, some are gray and bleak and none are splashy, posed photographs that you might hope to see in a museum. And yet, they represent the coincidence of turning points in history as well as turning points in photography. 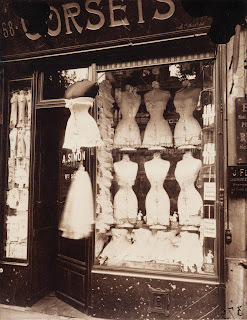 Atget took pictures to record history, to record the Paris he knew after World War I, a Paris he sensed would never come back again. He didn’t care if his work was pretty or artsy or even appreciated – he just wanted to record. He also wanted his photographs to be regarded as historical documents, an unvarnished view -- not one made to look pretty. After Atget, the other photographers in the collection seem to have worked harder to intrigue you and stop you cold as you try to puzzle what their photography represents. 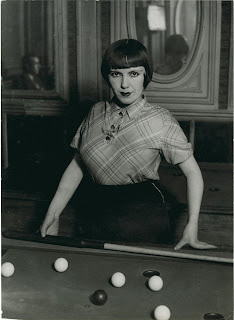 Ilse Bing, using a much more modern camera than Atget, starts to look for different views whose unexpected angles and perspectives still show you Paris, but not the one you would see on a postcard. 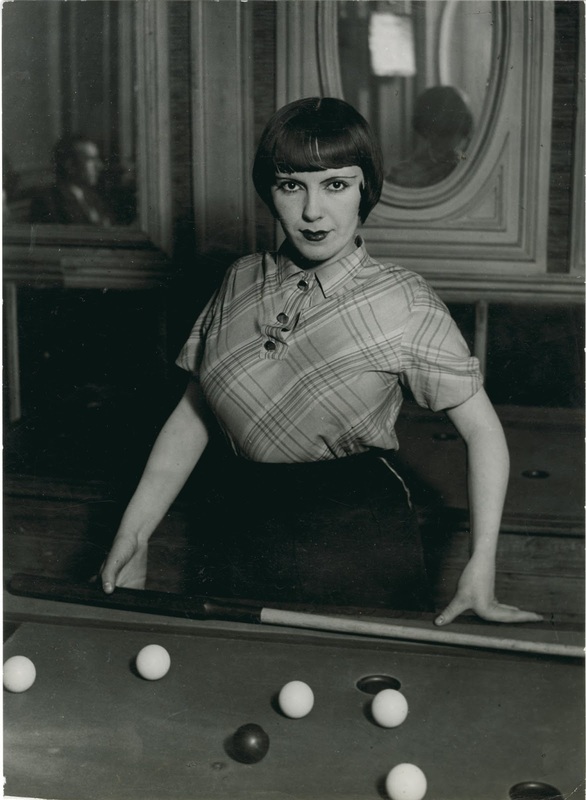 Brassaï sneaks you in to those discreet brothels, eerie night clubs and opium dens – the faces captured in them showing an intense bristling as they reveal their secrets. You can almost hear the surly waiters, the all-knowing demoiselles and their managers in this evocation of the darker side of Parisian life. Jacques-Henri Lartigue was given a camera when he was six and took pictures of the Belle Époque when all seemed possible – flight of man and flight of fancy as a lady walks her dog down the street. These early photographs were unearthed by none other than Richard Avedon and their juxtaposition in the display make you think of the optimism of Antoine de Saint-Exupéry’s Little Prince – the world before the war changed it. Man Ray’s photographs are fascinating for their inventiveness in concept – as well as his use of solarization – leaving the film to be exposed outside the camera for periods of time. 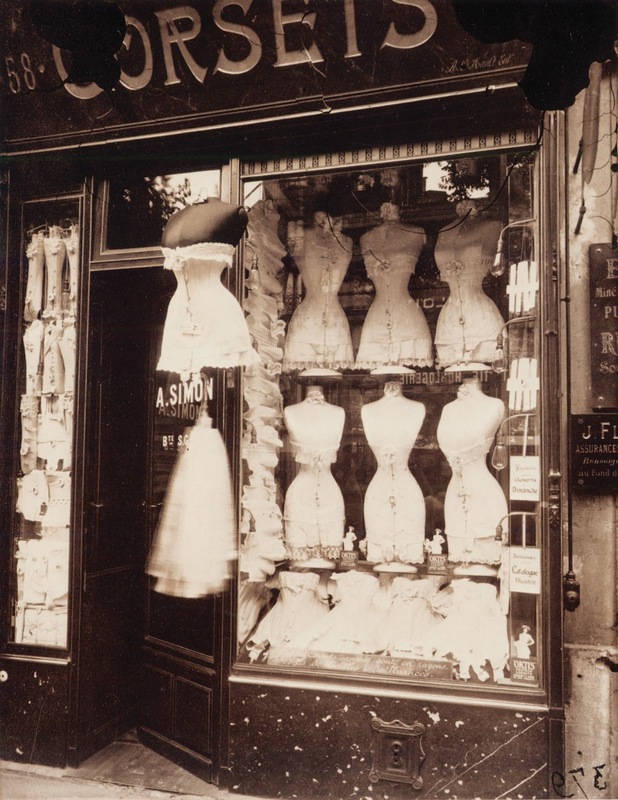 It was he who called the public’s attention to the work of Eugène Atget. Man Ray heavily influenced his protégée, Dora Maar, who took his surrealist ideas and pushed them even further. The highlight of the collection are the striking photos of Henri Cartier-Bresson. They represent the world in a journalistic, yet artistic way. A photograph which stuck in my mind and will probably be there forever is one of a matronly lady standing in front of a poster. The lady is straining her eyes as she looks into the light and the eyes of the young lady in the poster are covered with stickers. As you gaze at his work, you can see that he communicated his immediate impression of the scene he recorded. He lets you look through his lens and shows you the view as he caught it in that instant. When you leave the exhibit, you will feel as if you were eavesdropping on a long conversation about Paris, art, nightlife, society and the world, and it will fill your mind for days to come. The exhibit is open until September 15. For more information and hours, see www.delart.org. Another Festival Visit...More Excellent Music!